Inner Traditions International, Rochester, Vermont, U.S.A, 1996. (…) Daniélou shows the primal role played by ithyphallic gods in such diverse mythologies as those of the Celts, Greeks, and Hindus. He also explores the cults of Shiva and Dionysus in their role of bringing men into communion with the creative forces of life. 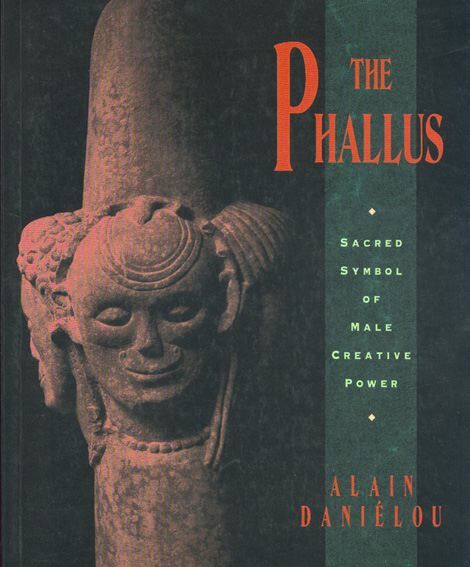 It is in this capacity-as a manifestation of the creator, a source of bliss and transcendence-that the phallus has its most powerful role in human symbolism. And, Daniélou argues, if we are to maintain our link to the divine, it must assume this symbolic role again. Profusely illustrated with some of the world’s finest examples of phallic art, THE PHALLUS celebrates the expression of the masculine in the religious traditions of East and West.